I’d arrived in New York in the late ‘90s, the last gasp of the glory days, although no one knew it then. New York was packed with writers, real writers, because there were magazines, real magazines, loads of them….a time when newly graduated college kids could come to New York and get paid to write. This was me. Only I wasn’t writing for a magazine, although, that was the original plan. Instead, I was working as an editorial assistant at a well-known (a-hem, romance) book publisher. I sifted through the slush pile; I wrote rejection letters; I answered my boss’ phone. One day, a reporter from Entertainment Weekly called. I can’t remember why exactly. But I do remember her name. I remember because her name wasn’t pronounced the way I thought it would be. Her name wasn’t Jillian. It was Gillian. With a G, not a J. Like gill, not Jill – I made sure to tell my boss how to pronounce it correctly. And I remember being a little star struck because I had just spoken with someone from Entertainment Weekly. I was new to this publishing biz. I was green. Heck, I still get a little star struck talking with someone from one of the big magazines. These days, many of the friends I made in New York in the late ‘90s have moved up – way up – the publishing ladder, myself included. Many have moved on to other things. And that reporter? Well, I think she wrote this book. Where were you in the late ’90s? How does that compare with where you are today? 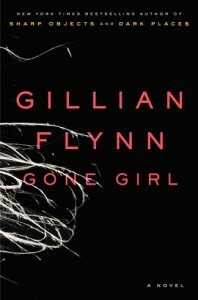 This post is inspired by Gone Girl (Amazon affiliate link), a psychological thriller about marriage and murder by Gillian Flynn. As a member of From Left to Write, I received a copy of the book for free. Join us as we discuss the book. And make sure to add it to your summer reading list. It’s a good one! SMALL world. Whoa. I was a few years behind you, but still in the last gasp of the glory days, moving to DC after graduation and the world only seemed full of promise and jobs and glamorous adulthood. How much things have changed in 12-15 years. I get a little nostalgic for those glory days, sometimes. But I’m also excited about the way publishing is changing. Thanks for commenting! Carrie recently posted..Are you a Laura, a Margaret, or an Amy? I know I shouldn’t be surprised by how small the world is, but I am. I guess that makes me appreciate those moments when they happen. Me, too. Small world moments always catch me by surprise. What a fun story! Thanks for sharing it. I was the VP of Human Resources for a large restaurant chain in Orange County, CA – no kids and, for most of the ’90’s, a slew of casual dates and boyfriends but no main squeeze (although I met my husband the very end of ’98). Life has definitely changed!